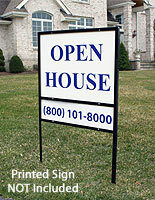 Real estate agencies are always looking for ways to make sure their listed homes and properties stand out! 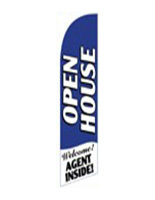 Our wide selection of realtor signs, including yard sign stakes, A-frame holders, and feather flags, has a little something for every agency, from the smallest local agents to the largest national companies. 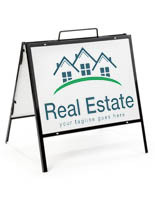 One of the problems realty offices frequently run into is that they need to advertise at many different locations at the same time yet they do not have enough supplies to cover them all. 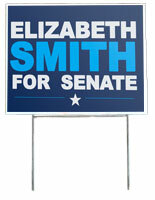 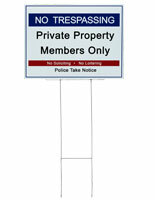 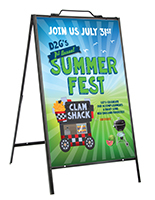 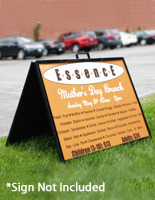 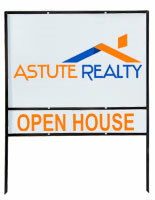 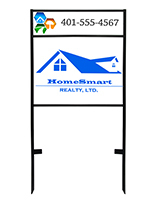 The advantage of shopping with Displays2Go is that our realtor signs are sold in bulk. 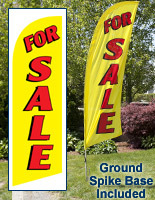 What's even better is that they are sold at wholesale prices! 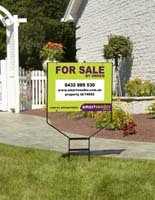 Typically the more you buy of any single product, the lower the cost per unit becomes. 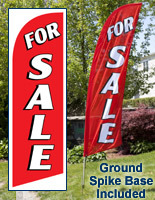 This pricing model enables even the smallest real estate agencies to stock up on all the necessary yard signs to ensure high sales numbers on homes, offices, and other commercial properties no matter how many they may have for sale at a given time. 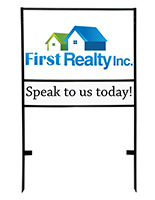 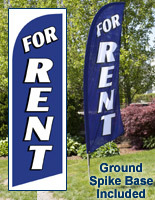 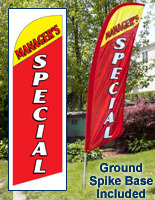 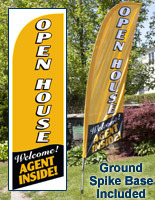 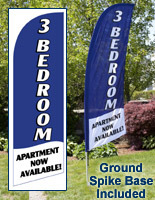 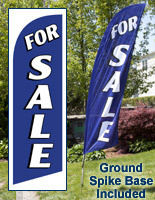 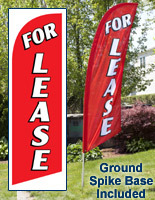 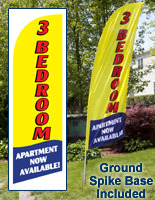 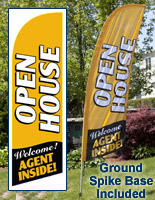 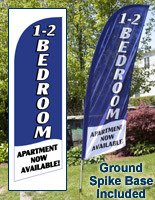 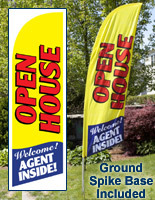 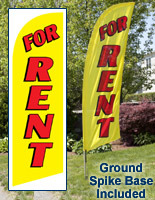 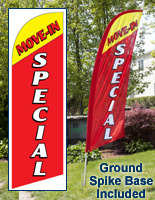 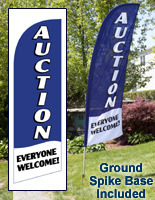 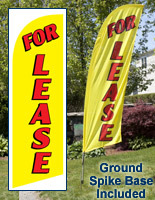 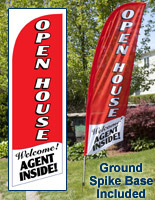 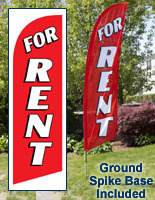 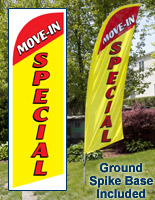 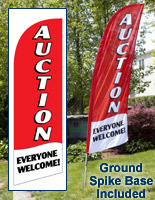 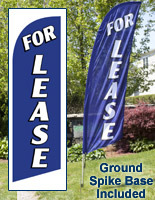 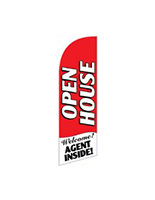 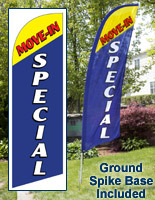 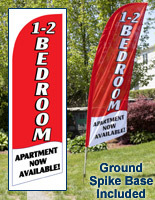 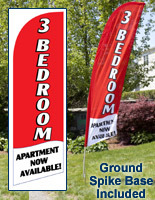 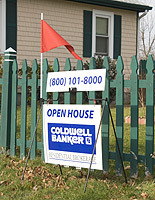 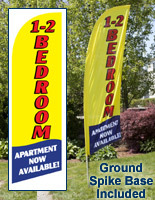 Shop pre-printed stock flags with messages, like "open house", "move-in special", "for lease", and more! 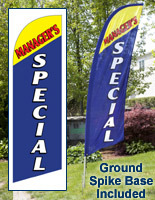 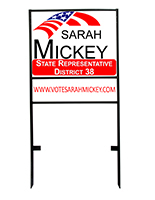 While our stock flags are very economical, you may want something a little more custom. 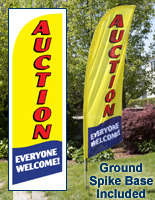 Look at all our outdoor advertising flags to check out custom-printed options. 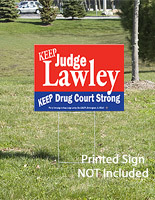 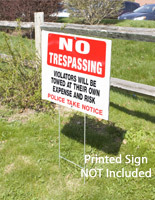 If you already have corrugated signs and just need some yard stakes or lawn frames, look no further! 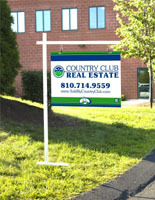 We carry a full selection of realtor sign displays, including traditional colonial-style sign posts, empty "H" frames with and without riders, A-frames, and many other yard stakes.